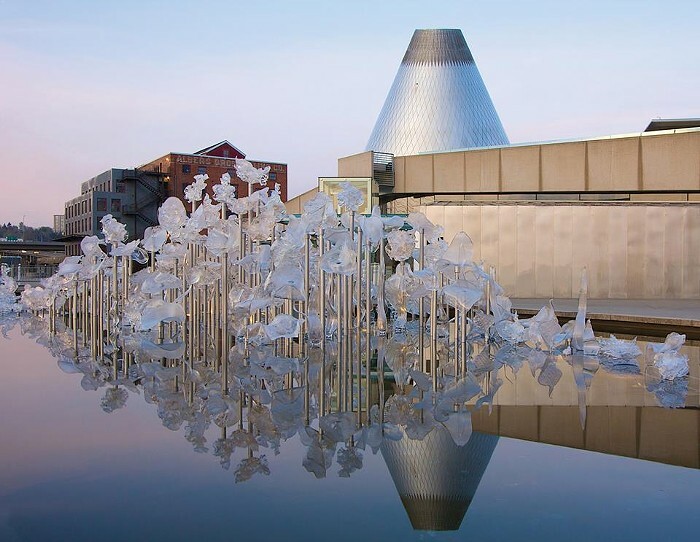 The Museum of Glass showcases some of the best art from glass artists around the world. They host a variety of collections that focus on modern glass art, visiting artists, and kids' designs. They also have an outdoor exhibit that holds the Chihuly Bridge of Glass, Martin Blank's Fluent Steps, and the Water Forest.